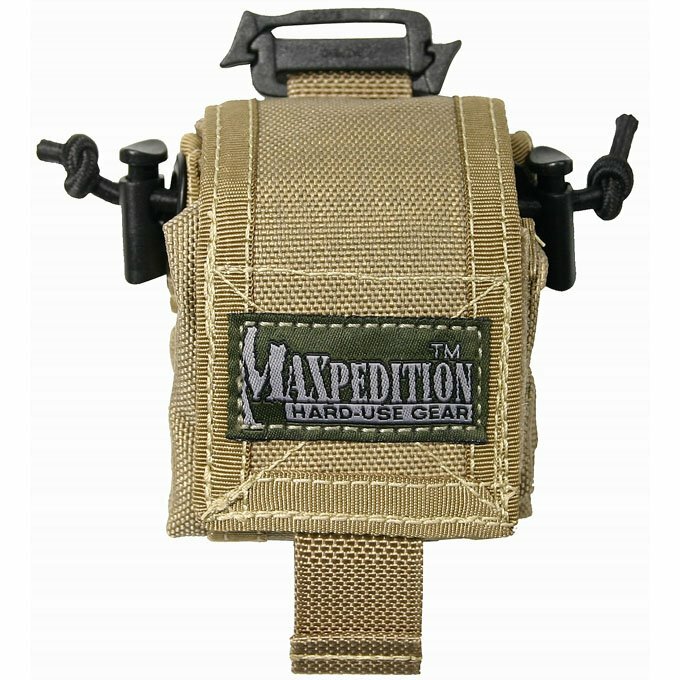 Interior left: Slip pocket with 1" wide elastic with 3 divisions 1" - 1" - 1"
The Rollypoly is MAXPEDITION's licensed adaptation of the elegant MM Folding Dump Pouch design. 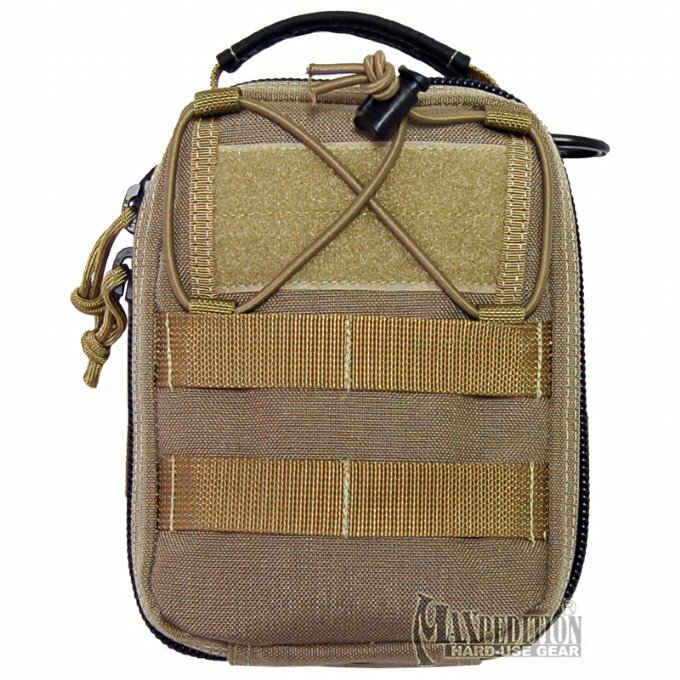 Precisely sized to hold seven M4 30-rnd mags, stacked either vertically or horizontally, it also functions as a dump pouch for shotgun shells, M4 magazines, or pistol magazines. Alternatively, the Rollypoly is a multi-purpose utility pouch suitable for evidence collection or general storage. It has snag-free elastic shock cord closures that pull from the posterior side of the bag. A velcro flap which maintains the pouch in its folded position, doubles as a lid or can be concealed completely within the bag. 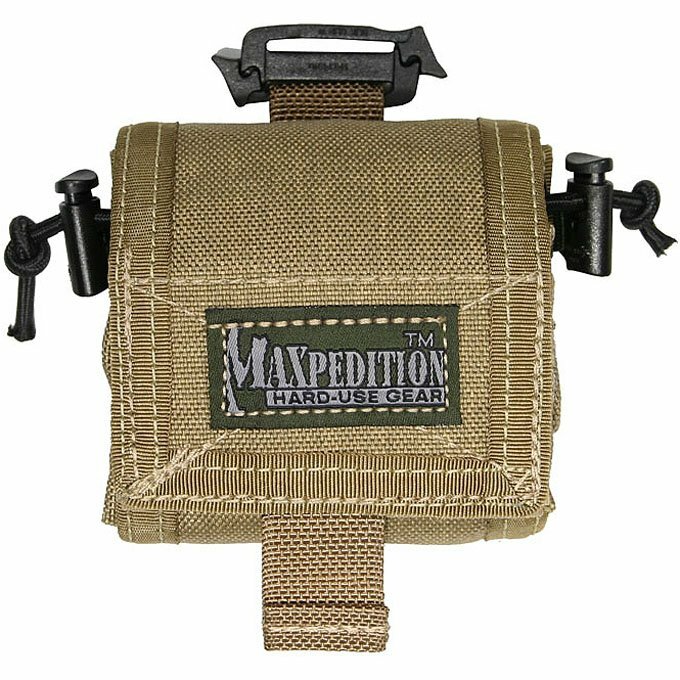 In its folded state, the Rollypoly is a mere 3" x 3" x 1.75", saving precious belt space, and can be attached to MOLLE or PALS webbing by means of Malice Clips (sold separately ). A top loop allows the Rollypoly to be piggy-backed using a Duraflex Siamese SlikClip (included). Grommet located on the bottom allows for quick drainage. Total Volume: 190 cu. in. 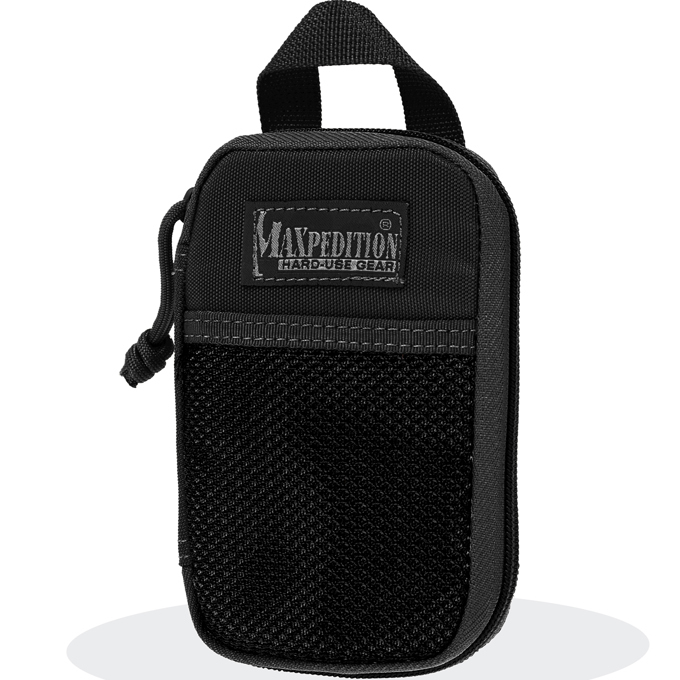 The Mini Rollypoly (#0207) is a folding dump pouch designed to hold a standard 32 oz. / 1L Nalgene or smaller water bottle. Bungee cord cinch and velcro flap lid secure top. Attach using Short Malice Clips� (sold separately). Total Volume: 100 cu. in. 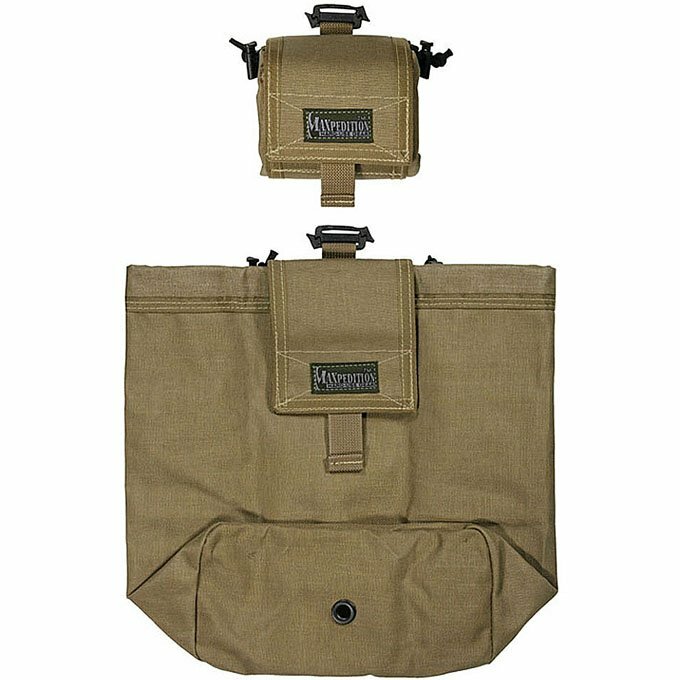 The Mega Rollypoly (#0209) is our super-sized folding dump pouch for collecting small game, carrying stuff you buy at the local gun show, or hampering dirty laundry during travel. Paracord cinch and velcro flap lid secure top. Since this is a larger bag that will hang down to thigh level, we have included a 1.5" adjustable leg strap for extra security. The leg strap easily folds with the bag and out of the way. Attach using Short Malice Clips (sold separately). Total Volume: 500 cu. in. The FR-1 Pouch design evolved from a first aid kit bag with added versatility. 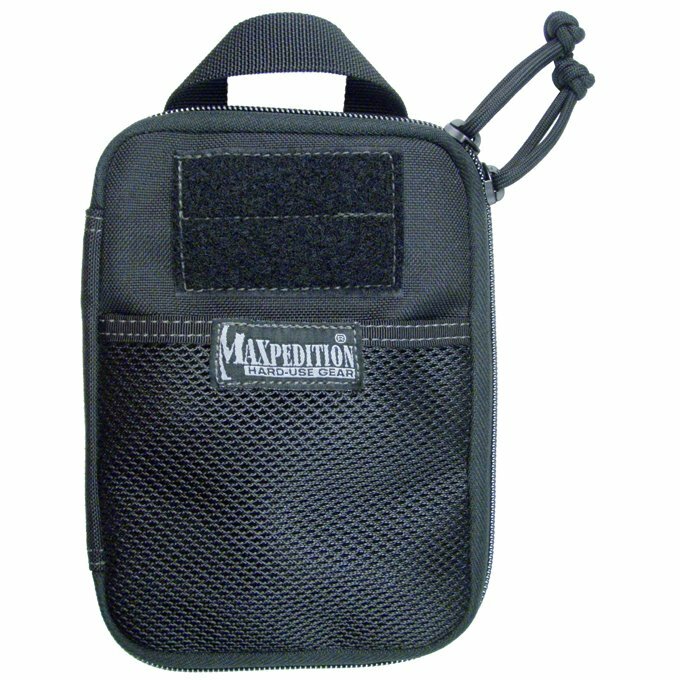 It can be used as a general purpose organizational pouch or even a specialized medical pouch. Both front and back halves have layered pockets topped with a wide array of elastic loops, essential for keeping contents in place. 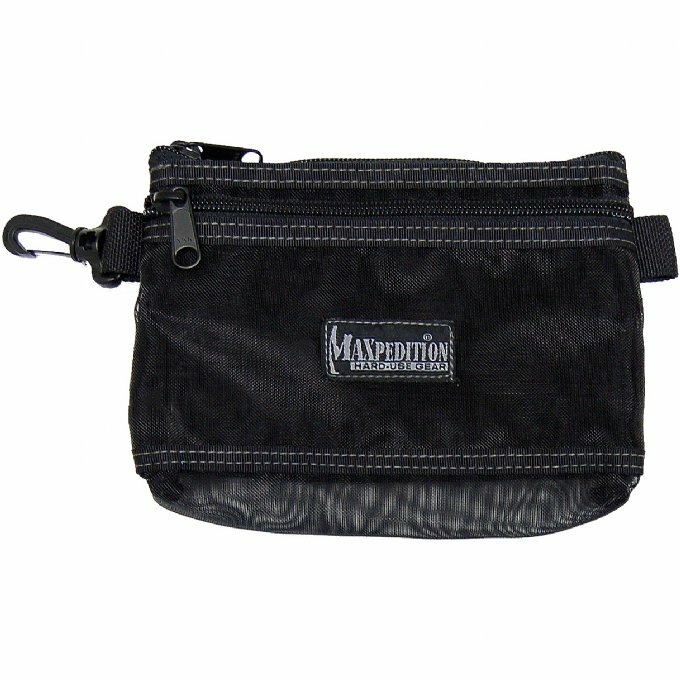 The full zipper �clamshell� opening can be fine tuned to various angles using a paracord adjuster. Last but not least, the FR-1 has a Torch-Lair� in front with bungee cord compression.